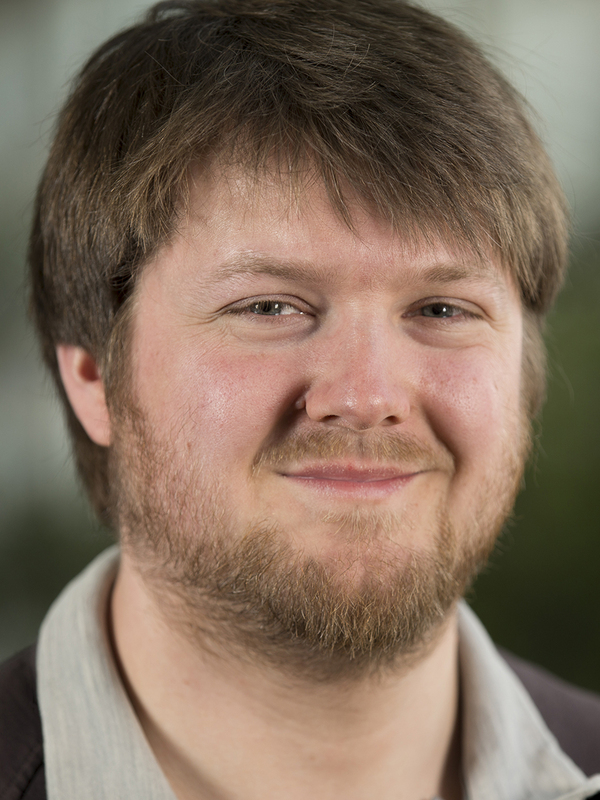 I'm a research assistant at the Media Computing Group. I take a look at how Augmented Reality can be used to simplify the creation of digital models (e.g., for Personal Fabrication). Projects I'm involved in include interactive museum guide systems and using motion tracking for 3D modeling. FLApp: The Future Lab Aachen App Our lab develops "FLApp", the mobile app that guides the user on a walking tour through the inner city, pointing out places of scientific discovery and innovation along the way. As a student assistant I was helping Simon Völker by working with the eye-tracker and user study software. In my thesis I looked at the effects of a canvas presentation (e.g. with Fly) on the presenter. An arrow marks a major peer-reviewed archival publication. Philipp Wacker, Oliver Nowak, Simon Voelker and Jan Borchers. ARPen: Mid-Air Object Manipulation Techniques for a Bimanual AR System with Pen & Smartphone. In Proceedings of the 2019 CHI Conference on Human Factors in Computing Systems, CHI '19, pages 619:1–619:10, ACM, New York, NY, USA, May 2019. Philipp Wacker, Adrian Wagner, Simon Voelker and Jan Borchers. 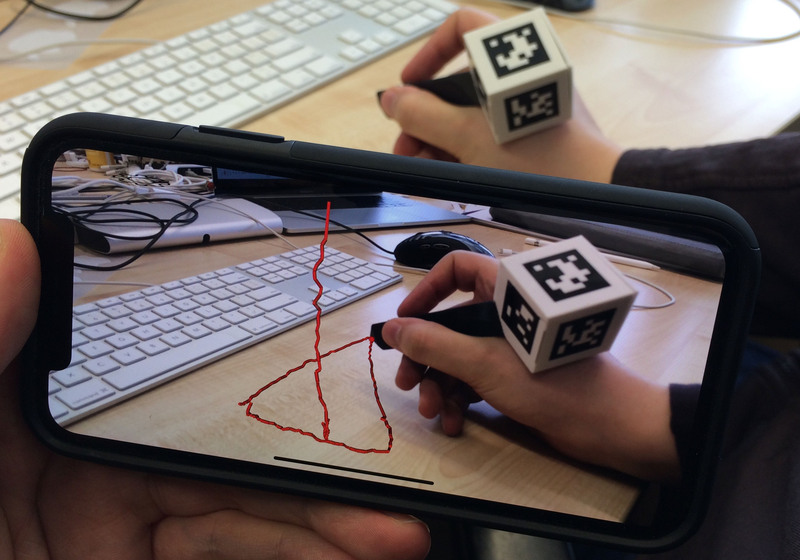 Physical Guides: An Analysis of 3D Sketching Performance on Physical Objects in Augmented Reality. In Proceedings of the 6th Symposium on Spatial User Interaction, SUI '18, pages 10, ACM, New York, NY, USA, October 2018. Philipp Wacker, Adrian Wagner, Simon Voelker and Jan Borchers. Physical Guides: An Analysis of 3D Sketching Performance on Physical Objects in Augmented Reality. In Extended Abstracts of the 2018 CHI Conference on Human Factors in Computing Systems, CHI EA '18, pages LBW626:1–LBW626:6, ACM, New York, NY, USA, April 2018. Philipp Wacker, Chat Wacharamanotham, Daniel Spelmezan, Jan Thar, David A. Sánchez, René Bohne and Jan Borchers. VibroVision: An On-Body Tactile Image Guide for the Blind. In Extended Abstracts of the CHI'16 Conference on Human Factors in Computing Systems, pages 3788–3791, ACM, New York, NY, USA, May 2016. Philipp Wacker, Kerstin Kreutz, Florian Heller and Jan Borchers. Maps and Location: Acceptance of Modern Interaction Techniques for Audio Guides. In CHI '16: Proceedings of the SIGCHI Conference on Human Factors in Computing Systems, pages 1067–1071, ACM, New York, NY, USA, May 2016. Leonhard Lichtschlag, Philipp Wacker, Martina Ziefle and Jan Borchers. The Presenter Experience of Canvas Presentations. In INTERACT 2015: Proceedings of the 15th IFIP TC.13 International Conference on Human-Computer Interaction, pages 289–297,September 2015. Philipp Wacker. How Does It Feel? Presenter Experience and Evaluation While Using Canvas Presentation Tools. Masters's Thesis, RWTH Aachen University, Aachen, October 2014.